These days everybody thinks that he or she is fed up of the professional job and as a way to get out of thinking of starting their own business and dream of becoming the next Amazon or flipkart. While its good to dream big part there are a number of stories of well-known companies going down the drain or even day to day dark areas of business which need to be dealt with, business is no easy walk in the park by any stretch of imagination. Today I would share with you in real life practical aspects of business so that you may be well-informed if you’re thinking of quitting that 8 to 8 and taking life a bit easy. This comes from my personal experience of having handled business with my relative in delhi, not just any small sellers who was selling on any e-commerce website, we are a fully registered company so that experience comes from all that I have seen and have personally dealt with. Things change drastically once you go from that side of the table to this side, mean that things become increasingly difficult once you become an employer. As an employee all you’re looking forward is when the month would end so that you can get your pay check, as an employer you are wondering why there are only 30 days in a month by not more so that can get more days to arrange cash for various activities and payments. Honesty takes a bit of a back seat in business not in terms of morals and values but in terms of payments. However punctual you might be in real life when it comes to clearing debts but once it comes to business you can’t afford make payments of suppliers and all whenever cash is ready. Then you try to extend the payment of the supplier till the very last day of credit cycle as your business and situation would allow. If by any chance you make the payment of any goods to your supplier well within the expiry of the credit cycle, the next time he would expect you to make the payment as early as possible and he won’t understand that the early payment last time was just an exception. He would make this exception a norm. There is no such thing as cash received until and unless the actual cash is bailing in your cashbox. I had seen many plans falling through because said amount of cash as payment in advance was expected to come but it did not come. So until and unless you get it – by just a verbal reassurances or talks you can’t estimate the actual amount in your bank. Tax evasion seems a very tempting affair because whatever amount you are billing to the customer with tax is of no use to you because at the end of the month or quarter the full amount you charge from the customer as tax would be deposited to the government so you’ll be left with no extra cash in every sale transaction. In spite of the fact that you think that business is a bit relaxing you are all wrong, you have to constantly think about business 24x7 because how fast the day ends and the other day starts you would never know. Even if you’re taking holidays you have to plan a lot for the business by the thinking well in advance about what could happen in the days you are out of your office, be in touch with your team over the phone, monitor them so they don’t lax their work. It’s a whole lot of things and takes advance planning to the next level. Employee attrition is unpredictable. Its one of the worst things to encounter in your company. No matter how much loyal employee has been in the past he can quit in a matter of seconds and the reasons can vary from his whims and fancies, his attitude change on any new employee joining and if they know that they are important to the company they will hold you to ransom, be it a the job profile or salary increment and then you have to take a hard decision as to whether you should let them go and recruit a new person at a much lower salary. Every business has its own calculation done when it comes to a minimum amount of earnings needed for the day. There are a lot of times in a month when you’re barely able to achieve that minimum amount of cash you need to earn in a day so that you are in a position to pay the salary of your employees at the end of the month. It’s very useful if the owners of the company are tech savy in terms of software and hardware of the company’s IT systems. As a sole proprietor or a small company thousands of rupees can be saved in case any issue is encountered because otherwise the technical people in the market would charge you a minimum of anywhere close to 200 and on words for even a simple diagnostic of a computer system. There had been instances in my working when I had to actually replace laptop hard drives, reinstall corrupt Windows and many most things. All I needed was simple things- but to set, a Windows installation disk, a bootable USB drive etc etc. things which can tell you what is the problem exactly. 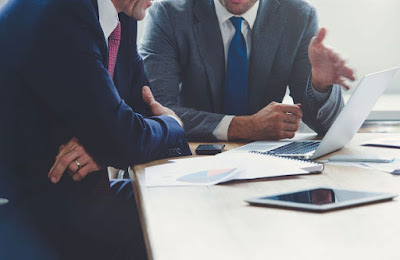 Apart from the fact that you have to keep a close eye on your competitors in this same line of business, it takes a lot of diplomacy to reach out to them for any urgent supply that you might need for your business/Project while making sure of all the secrecy that you can maintain that they don’t know about you deal. The moment they get a whiff of the work you have bagged, they will reach out to your party and caught them prices so low that you can’t sustain that project and the customer would eventually shift. Every business line is quite dark and dirty and you will never know who stabbed you in the back. Probably the only one thread to survive or growing business is to trust nobody (maybe your immediate family if they’re helping you in the business) out there. There are no friendlies here. You can’t be saturated in your product line, at some point of time your product would eventually become the same product which is out there in the market and available at very cheap rates despite the fact that you are selling may be OEM products which are the best in the quality. After a time it seizes to be a star and you have to introduce a few products which are fast selling to ensure that there is a regular supply of funds and chance for you to grow your portfolio. The most frustrating and probably seeming to be the most on rewarding thing of any business is pitching the product to the customer. Don’t take it otherwise but there have been instances where I had to make multiple rounds of corporates , customer all because of followings various leads. Travelling in the car whole day in Gurgaon in various sectors just because somebody had called up to meet and when you meet them you come to know that the quantity which they require of your product is very minimal and you have probably used up fuel more than what you would actually earn in cash. A friend of mine while doing his own business also encountered a few months many had to actually terminate the fixed deposit of his child creaming surely and transfer those funds to the bank account of the company because there had been very poor sales in the past few months and there was no fund to pay the salaries of the employees. He could not let a cash crunch terminate his company Sony had to take a drastic step and it took him 18 months to actually earn the FD amount through his business and take a new FD in his child’s name. Irrespective of the fact that many operations and many records today are computerised but believe me there is a lot of paperwork involved and you have to keep track of them all, there are numerous diaries, notebooks filled with records and remembering important transactions and dealings. If you are a small company you need at least one other person apart from you, preferably your employee who shares the same passion of growth of the company as you. This is because there would be trying and testing times coming out of nowhere which could give you lots of cash for your hard work in an instance but the problem would be so complicated that it were required to heads to actually get together and brainstorm through the mess. So these are just few practical real-world insights and experiences of mine which I gained in 10 months while handling business engineer that while it’s very easy to dream of becoming the next big company but in reality it’s a daily struggle to keep a company floating. Risk-taking is almost synonymous with entrepreneurship. To start and support your own business, you’ll have to put your career, personal finances and even your mental health at stake. For most, the prospect of making your own decisions and being in charge of your own destiny is worth it. But if you’re going to be successful as an entrepreneur, you have to be prepared for the risks and challenges that come with it.